If you are in the fintech space, look no further than Indonesia. The pie is growing, with more than 150 fintech startups in Indonesia – 78 percent more than in 2015. Google and AT Kearney also identified fintech as one of the most attractive categories for investors within the country’s startup ecosystem. 2016 was the first time that the number of fintech investments in Southeast Asia overtook ecommerce, although it was still the highest by amount with US$421M. Investments into Indonesian fintech startups are set to hit a record high in 2017, and this trend is expected to continue in 2018. Even so, some investors believe fintech is not getting the attention it deservescompared to ecommerce. Despite this, however, the huge ecommerce boom that Indonesia is facing has led to a gold mine for payments startups. Digital payments have become so large that the total transaction value amounted to US$18 million in 2017. The Indonesian government’s ecommerce roadmapalso specifies fintech integration and better payment infrastructure as a key focus moving forward. Indonesia’s financial institutions are certainly not lagging behind in investing in fintech. Eighteen months since its establishment in January 2016, MCI, the venture arm of Bank Mandiri, Indonesia’s largest financial institution – has invested a total of around 300 billion rupiah (US$22.4 million) in seven startups. MCI’s investment focused on three areas: payment options, peer-to-peer lending, and small enterprise solutions. Its recent investment in Cashlez, a mobile point-of-sales system, could help merchants with weaker internet connections get access to cashless payments. 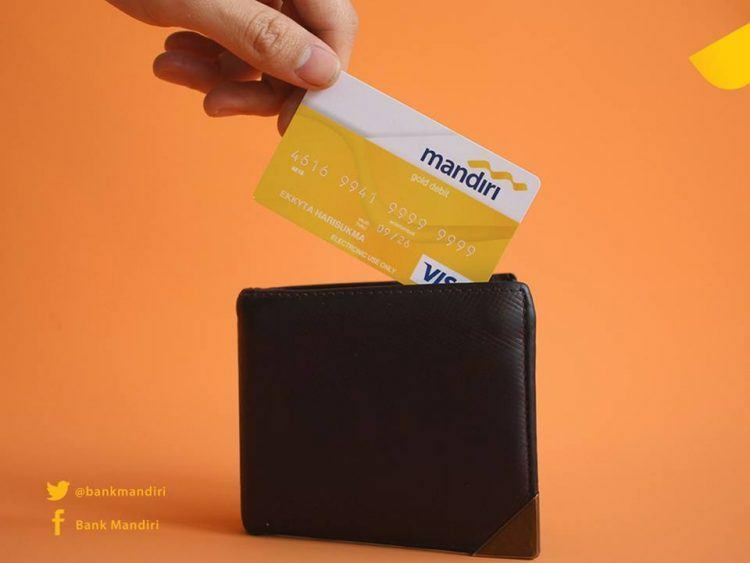 With Bank Mandiri’s financial expertise and access to a vast network of merchants and customers, fintech startups can scale very quickly. Other lenders joining the digital wave include private lender BTPN, which spent 1.3 trillion rupiah (S$131 million) to develop a digital platform called Jenius, over the past three years. DBS Indonesia also launched digibank, a completely paperless and signature-free banking experience. Lending is a popular fintech sector that will continue to grow. In fact, 17 percent of fintech startups are lending platforms, and businesses like Modalku and Investree leading the charge. Consumer confidence in peer-to-peer lending businesses also got a boost from the Financial Services Authority (OJK) regulation regarding information technology-based money lending services. The expansion of the lending scene will help support micro, small, and medium enterprises (MSME) within Indonesia. 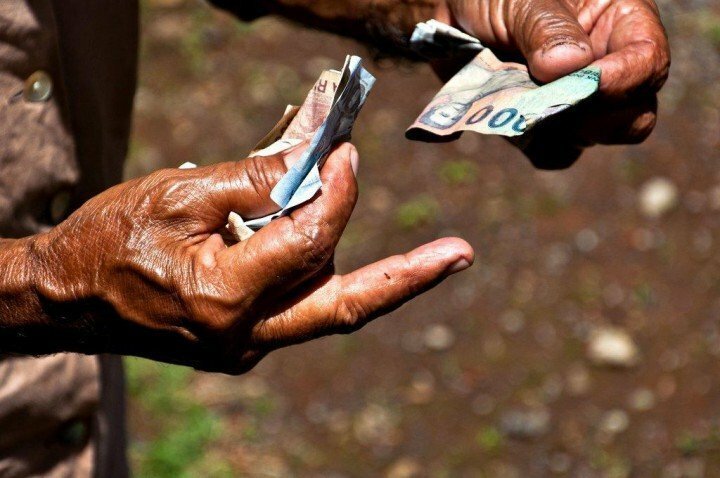 “Poor access to financing can be considered as a major reason for the low productivity of Indonesian MSMEs,” says Eddi Danusaputro, CEO of MCI. He also points out a huge gap between the available market of MSMEs that fintech players can serve and existing players in this space. “Current players tackle less than 20 percent of financing to MSMEs,” says Eddi. The peer-to-peer scene may face some competition on all fronts – good news for MSMEs, but bad for lending startups. 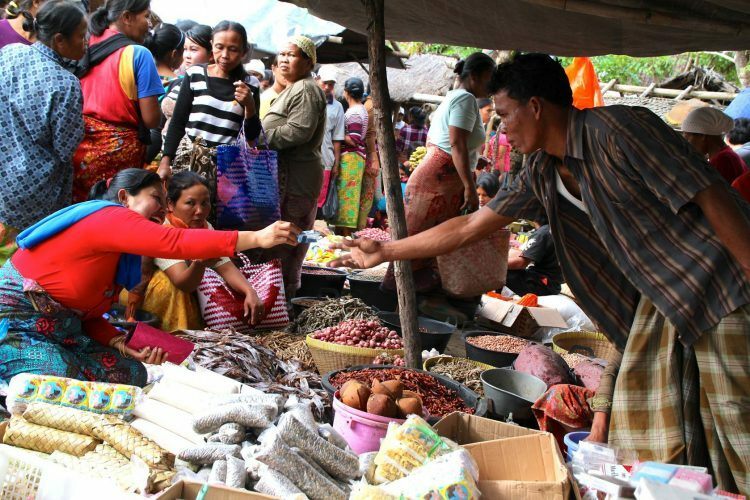 Buyers and sellers at a market in Lombok, Indonesia. Indonesia’s largest startups are riding this wave and creating more applications for Indonesians to go cashless. Go-Jek has allowed people to pay for its on-demand motorbike service through its mobile app. At this year’s Global Mobile Internet Conference, Go-Jek CEO Nadiem Makarim revealed that users will be able to use its e-payments service Go-Pay to transact at various online marketplaces within the next three to six months. Indonesians also heavily shop on Bukalapak and Tokopedia with virtual wallets, and even buy local mutual funds with Bareksa. But the road to cashlessness will take some time. Bank Indonesia has been cracking down on companies like Grab, Tokopedia, and Bukalapak that operate e-wallets without the right license. In 2016, 49 percent of fintech players felt that the regulatory processes in Indonesia for fintech was too slow, and 61 percent felt that it was not clear enough. 2017 saw the Indonesian government taking steps to provide a better regulatory environment and clarity for fintech startups, and this is set to continue in 2018. This will give confidence to startup founders and investors in Indonesian fintech. The Financial Services Authority (OJK) of Indonesia has launched a registration system for fintech startups, marking a formal recognition of the sector. By June 2017, eight startups have registered, with more in the process. OJK also inaugurated a FinTech Advisory Forum in June 2017, a platform designed to set the direction of the fintech industry’s development. The central bank, Bank Indonesia, plans to follow in Singapore’s footsteps and create a regulatory sandbox for fintech startups. The Indonesian economy has carved a clear path to leverage fintech for more financial inclusion and literacy. Investors and startups can look forward to a strengthened fintech ecosystem and ride the wave. With clearer rules, better data security and more consumer protection, fintech in Indonesia is now a national priority to improve the lives of its citizens.